Cakes, cookies, custards, puddings, candies, fried dough, pies and pastries. From the unconventional, recipes of Albanian Walnut Lemon Cake and Lithuanian Poppy Seed Cookies to the classic Tiramisu and Macaroon recipes, this cookbook takes your taste buds on a sweet journey throughout Europe. Desserts have come a long way since the dried fruits of the ancient civilizations as the first candies to soufflés and cakes once sugar began to be manufactured in the Middle Ages. 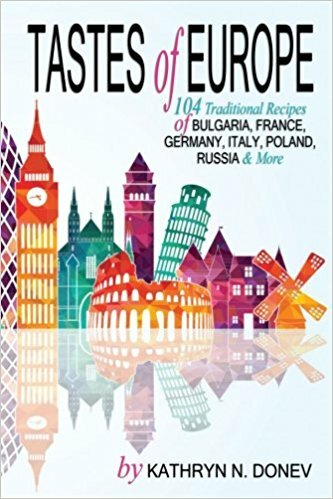 This cookbook contains some of both the simple and more advanced recipes of Europe. 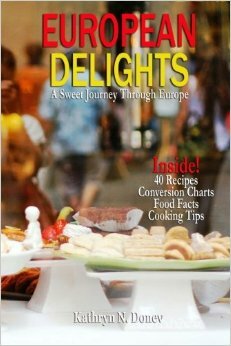 It features 40 authentic dessert recipes representing nearly every European country and with each recipe there is a story to tell. The word “dessert” originated from the French word desservir “to clean the table” and these delights will make you want to clean your table a bit faster. Is Migrant crisis in Europe really under control? Less than two years after the European Union was confronted with an unprecedented influx of refugees, during which over a million people from Syria, Iraq, Afghanistan and beyond flooded Europe’s borders, EU officials are saying that the migrant crisis is under control. For this, the EU credits its March 2016 agreement with Turkey, which was intended to curb entries into Greece via the Mediterranean Sea and end onward movement into Europe across the western Balkan route. At the time, one European Commission senior policy official said the agreement, which stipulated that Greece send back to Turkey those migrants who do not apply for asylum or have their claim rejected, was seen as necessary to “ensure the future of the EU”, where the migrant situation had become “explosive”. Just over a year later, crossings on the eastern Mediterranean have dropped from a weekly peak of 1,400 in early March 2016 to a weekly average of 27 for March 2017. The western Balkan path into Europe has seen a similarly significant decrease in crossings, from 764,000 in 2015 to 123,000 in 2016. Declarations of success have come despite criticisms by NGOs and experts, who have condemned the Turkey deal as an outsourcing of responsibility. This tactic may have stopped refugees from reaching France, Germany and the United Kingdom, at least temporarily, but it has not resolved the crisis at Europe’s borders. Crossings of the central Mediterranean, which predominantly impact Italy, are actually on the rise, and the stalemate over relocation of refugees from Greece to Turkey, a key part of the 2016 deal, continues. A new report by the German think tank Friedrich Ebert Stiftung (FES) shows that EU states along the western Balkan route are systematically – and violently – pushing back migrants. This route, which was at the forefront of the 2015 crisis, remains active, but it has slightly changed: movement has been redirected from Greece to Bulgaria’s land border with Turkey. In 2016, 18,000 migrants crossed into Bulgaria. According to the FES report, Bulgaria, Hungary and Croatia have responded to the new influx by intensifying “efforts to prevent entry into their territory”. Hungary has further restricted its asylum legislation which “taken together with the physical push-backs, amount to the systematic violation of human rights” in the country, which already has the EU on edge with its ongoing crackdown on civil liberties. Attempts to forcibly close the borders in Hungary and Bulgaria have created a bottleneck in Serbia, where about 10,000 refugees and migrants are reported to be stuck. Border tightening across the western Balkan region has also led to an increase in the use of illicit smuggling networks, which is precisely the problem the EU claims it is seeking to tackle. Meanwhile, the stalemate on relocation has left thousands of refugees trapped on the Greek islands. Thus far, only 1,000 people have been sent back to Turkey. With serious overcrowding and a lack of meaningful access to asylum procedures, the security situation in Greece is increasingly dire. The EU’s support for a possible agreement with Libya displays a lamentable lack of lesson-learning. Italy had a similar deal with Libya in 2008, which collapsed with the Arab Spring. This directly contributed to the sharp rise in migration flows from 2011. Nor is the Turkey agreement the first time that the EU has tried to outsource responsibility. The so-called Dublin Regulation, which from 2003 designated asylum responsibility to the country of entry, quickly became unsustainable, with Italy and Greece unable to tackle the massive influx. By turning a blind eye to the problems that the 2016 Turkey agreement is wreaking on Balkan states, the European Commission will again struggle to formulate a cohesive shared response to the ongoing migration crisis. As one European Parliament official stated, the tendency instead has been “to try and keep the problem out of the EU as much as possible so as to not have to deal with the situation.” But one European Commission policy official from the Directorate-General for Migration and Home Affairs suggested in an interview that “containing the numbers through third country deals is a precondition” for all EU states to determine a common policy. Having “more predictable numbers”, she said, would give national governments the “breathing space” needed to sell voters on the need for a stronger, common approach to refugee arrivals. But with the EU in a deadlock over the new Dublin negotiations, it is unclear whether member states can actually agree on a plan to effectively share responsibility in the continuing migrant crisis. Frontline member states are acutely concerned that the outcome of current talks may worsen the situation by further overburdening them. Inaction is not an option. Under international human rights law, European states are obliged to ensure safe and effective access to their territory for those fleeing persecution. It also has a legal mandate to find a solution: article 80 of the Treaty of the Functioning of the European Union requires the bloc to pursue a common asylum policy grounded in the “principle of solidarity”. The recent decision by the Commission to open sanction procedures against Hungary, Poland and the Czech Republic for failing to comply with the relocation decision is a step in this direction. Confronting recalcitrant member states – perhaps by cutting off access to EU funding – the bloc can halt the current a la carte mentality that leads states to pick and choose when they share responsibility. Because, when it comes to Europe’s migration crisis, as one European Parliament member for the Committee on Civil Liberties, Justice and Home Affairs put it, “either you get with the programme or you’re not in the club”. finally, the group had decided to purchase Russian Bibles and New Testaments in New York to take to Russia. The group included the families of Voronaev, Zaplishny, Koltovich, along with V. Klibik and N. Kardanov from Ossetia. They could only purchase tickets for the deck, which proposed problems for the children during the cold ocean nights. According to Voronaev’s later records, the group set sail from New York on July 15, 1920 (thou Martha C. Zaplishny- Jackson recalls July 8th or 17th in various statements). The only standing proof for the exact departure date is the ship’s records with the French Fabre Line. 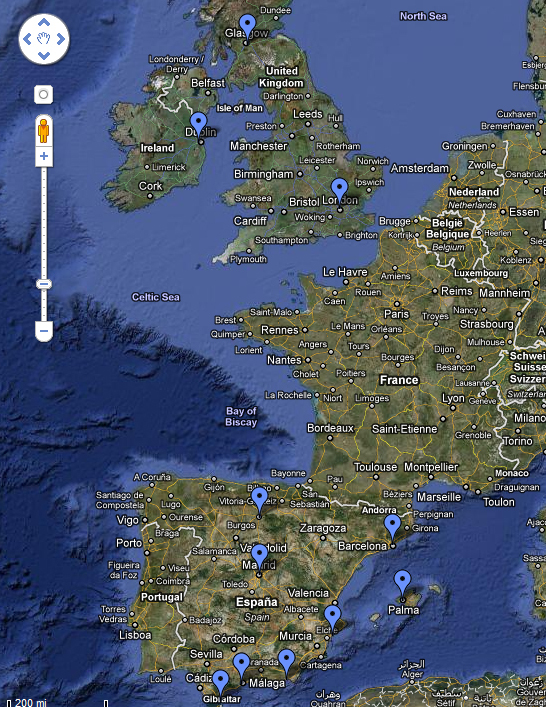 Madonna sailed via Marseille in France and Naples, Italy. The group’s trip to Europe included a stop in Greece before reaching Constantinople on August 10, 1920. Both Voronaev and Zaplishny’s children have pictures from visiting “several other Balkan countries,” thou not well documented and quite improbable. 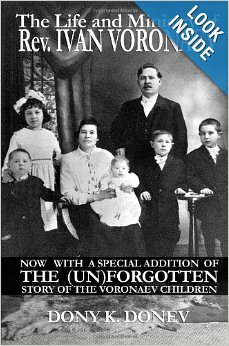 Consecutively, when the Zaplishny family had to flee Bulgaria in 1924, they used the same route taking a train to Cherbourg, France and then a boat to New York’s Ellis Island. Through all these difficulties, Voronaev reached Bulgaria by the end of 1920 and Odessa in the U.S.S.R by August 12, 1921. The movements his mission started from Varna to Vladivostock were Pentecostal pioneers for this part of the Old World. By the time Voronaev was arrested in 1930, over 400 Pentecostal churches with 20,000 members strong were started by his ministry throughout Eastern Europe. Bulgaria’s prime minister has ordered on Sunday a halt to construction work on the Gazprom-led South Stream pipeline project planned to bypass Ukraine as a transit country and consolidating Russia’s energy grip in Europe. Plamen Oresharski said after meeting U.S. Sens. John McCain, Christopher Murphy and Ron Johnson that he has ordered all work on the disputed project to continue only after consultations with Brussels. Last week, the European Commission opened an infringement procedure against the Balkan country and asked construction work to be stopped, arguing that Bulgaria hadn’t respected EU internal market rules covering the award of public contracts. The standoff over Ukraine has forced the 28-nation EU into a sudden rethink of its energy policies to make it less reliant on Russia and its state-owned gas company Gazprom. In particular, the EU decision will affect the South Stream pipeline, in which Russia’s Gazprom holds a 50-percent stake, and would provide an alternative supply route for Bulgaria, Serbia, Croatia, Hungary, Slovenia, Austria and Italy. It is expected to ship up to 63 billion cubic meters of gas from 2018. Bulgaria, which is almost totally dependent on gas supplies from Russia, is trying to avoid another cutoff after it was among those who suffered most of the gas price dispute between Russia and Ukraine in 2009. 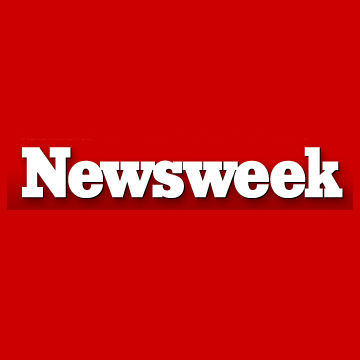 Bulgaria boasts Eastern Europe’s most fashionable resorts, says an article in the January 14 Newsweek magazine issue. The magazine points out the opportunities to spend a holiday at Bulgaria’s top ski resorts like Borovetz and Pamporovo at low prices, which are a fourth of what tourists would pay in France’s or Switzerland’s winter resorts. “There has been a massive increase in the popularity in skiing in Eastern Europe,” says Chris Rand of the Britain-based tour company Balkan Holidays. EUR 150 million have been invested in Borovetz to make it a “modern European resort” with an additional 80 kilometers of family-friendly runs, Newsweek says.